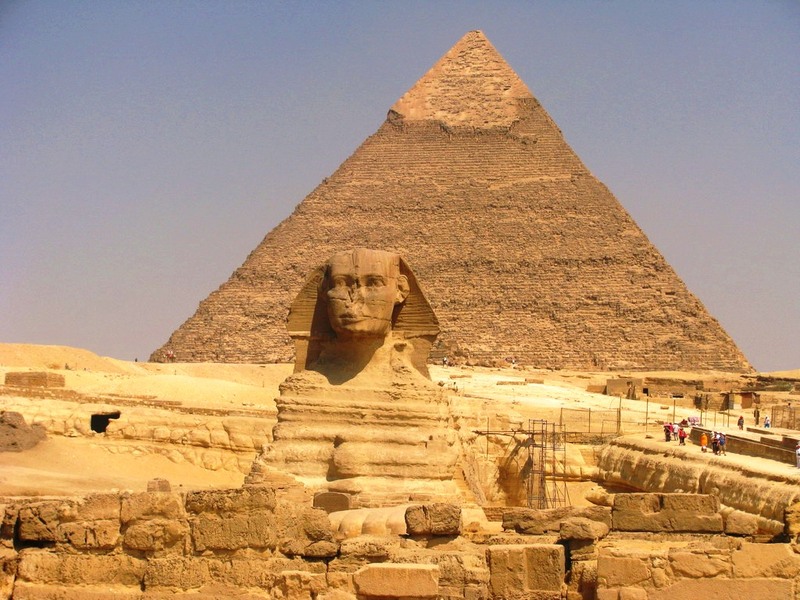 What prompts or drives a person to travel to sacred sites around the world? The answer depends on the path one has taken in life. For me, it started with a simple question: “How did our ancestors know where to find sacred sites in the forests, mountains and caves?” I saw it not only as a way to a higher source of knowledge but as a way to experience the connection (doorway) between heaven and earth. Most of my early life was spent just earning a living for my wife and family. After my first trip to Europe (on business) my focus on life started to shift and I began to have things take place that were hard to accept based on the way I viewed the realities of life at that time. I began to study metaphysics, meditation and Tai Chi. Some of the gifts that I had been blessed with began to appear and I realized that there was much more to this world than I believed existed. The sacred journeys really started after a vision I had of Mother Mary and Quan Yin. What exactly took place I don’t totally recall. The one thing I know is that I suddenly had to visit Marian sacred sites. The first place that seemed to choose me was Lourdes and a town called Cauterets in the mountains above Lourdes. My wife, Peggy, and I put together a trip to France and England in the early 90’s. The list of some of the pilgrim’s and mystical sites are listed below. Before I knew it, we had eight people traveling on a small bus with an English driver/guide and a French-speaking guide. In hindsight, it was magical the way the sites and information came together. I could write a small book on that trip and some of our other journeys but in an attempt to keep this short I will simply list some of the places we have been with some explanations. In France, we experienced the sacred at the Miraculous Medal Shrine in Paris (a Marian miracle site), Saint-Sulpice and Sacré-Coeur. Our group than traveled to Le Puy-en-Velay, another Marian miracle site with a remarkable “fever stone, known for its healing properties.” We traveled further south to Rennes-le-Château, Rennes-les-Bains, Monséqur, Carcassonne and the Cave of the Dragon in the Languedoc area with its history of the Knights Templar and Cathars. We spent time at the Marian miracle sites of Lourdes, and Racamadour. Our journey then took us north to experience the energies of the megalithic Carnac Stones, ancient dolmans and the mystical Broceliande forests of Arthur and Merlin. We walked the “dragon’s spine” in Tréhorenteuc where there is a church dedicated to the Arthurian mysteries. We experienced a mystical event at the sacred well in Chartres Cathedral and the power of the Chartres Labyrinth. 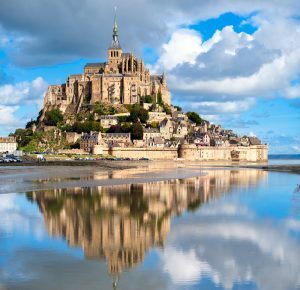 We marveled at the beauty and earth energies associated with Mont-Saint-Michel in Brittany before traveling to England. In London, Jessica Potter, an English author and artist guided us to the Temple Church and little-known sacred sites. 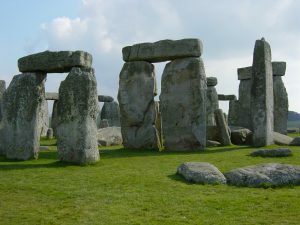 We traveled to Stonehenge where we were given special permission to go into the center. We entered in a driving rain storm that suddenly stopped as we held a ceremony amongst the magical stones. As we left the stone circle the rain and wind started again. We then traveled to St Michael’s Mount near Penzance. As we traveled to Glastonbury, we stopped to experience the stone circles of Avebury and Silbury Hill. At Glastonbury we visited the Chalice Well, Glastonbury Abbey and Tor where you can sense the mist of Avalon. On another journey my wife and I followed the Michael and Mary ley lines through France and England. We have traveled through Spain following Camino de Santiago, the Pilgrim’s Way, from Zaragoza to Santiago de Compostela, visiting many sacred sites along the way. We drove back to France and along the way visited a sacred well and Black Madonna where Charlemagne and his troops once stayed. 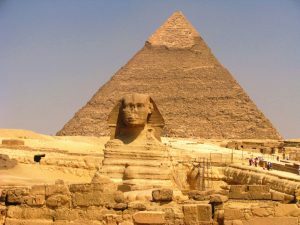 We have taken trips to Egypt, as part of larger groups, and experienced the wonders of the Great Pyramid, Abu Simbel, Kom Ombo, Dendera, Luxor, Karnak, Valley of the Kings, Edfu, Philae Temple and Seti I and the Osirion Temple in Abydos. The Osirion Temple predates Seti’s temple and is where the Flower of Life symbol was found. We have traveled to St. Katherine’s Monastery in the Sinai Peninsula and in Cairo, to the sacred place of Mary’s Tree and Zeitoun, another Marian vision site. In the US, we have traveled to Chaco Canyon, Mesa Verde, Crestone, the 4 Corners, Chimayo and Sedona. 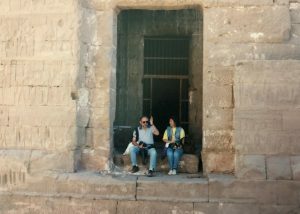 Although I have listed the places we have visited only once, the reality is that we have made several trips back to some of the places that call most strongly to us. We traveled with Gregg Braden to Israel last year. Some of the towns and sites were: Dead Sea, Masada. Bethlehem, the Cave of Redemption, (a very sacred site), St. George’s Monastery, Jerusalem, the Wailing Wall, the Temple Mount, Safed, (a city dedicated to Kabbalah and mysticism), Tiberias and the Golan Heights. As a businessman I would have asked, “What is the bottom line?” We have experienced the energy and dynamics of sites that are mysterious, miraculous and magical. They have expanded our horizons and souls. They have made us more aware of the grandeur and potential of the past and the present as we evolve on our path of creation. We stood at sacred wells where people now drive their vehicles over. We have seen the results of concrete buildings interrupting the flow of earth energies. We have stood in a wind tunnel inside of a church on a hillside where all the doors were closed and we were challenged by a very potent force. We have been led by a dog up the side of Monséqur in France to show us a room we did not know existed. We were held by a force on a bridge in Spain that seemed to want to eliminate us. When we finally got across, a priest told us that the bridge is called “the Devil’s Bridge” and people have died there. We did not share with him what we had experienced. Miracles, mysteries and the magic of life are there for all of us, if we are willing to pursue our dreams. The changes we are experiencing will give us opportunities we’ve never had before. Will we be willing to go beyond the current reality that holds us in its grasp and realize we are all on a sacred journey?